Dubai: The ex-wife of Russian billionaire Farkhad Akhmedov, who attempted to seize a £350 million superyacht from the tycoon in the UK’s biggest divorce settlement, has been hit with a damages claim for $85 million dollars over the yacht’s wrongful impoundment in Dubai, according to a statement from the oligarch’s representatives on Thursday. 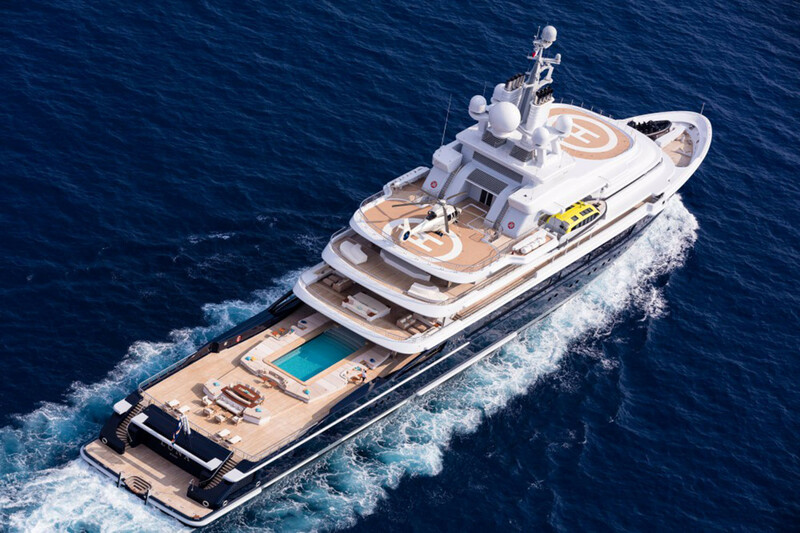 Dubai judges last month ruled that the confiscation of Luna, which previously belonged to Chelsea Football Club owner Roman Abramovich was invalid and they ordered its release from Dubai where it had been docked for over a year. Akhmedov’s representatives have now said papers were filed in Dubai court on Thursday to set out claims for damages over the yacht’s wrongful impoundment in the emirate. The claim is issued against Akhmedov’s ex-wife Tatiana Akhmedova and her financial backers Burford Capital Investments, a London-listed litigation finance company. According to the statement from Akhmedov’s representatives, Burford has bankrolled Tatiana’s attempts to recover £453 million from her ex-husband after an English High Court ruling awarded her the sum in a 2016 judgement. Akhmedov fought the ruling and hasn’t paid the settlement because the couple originally divorced in their native Russia in 2000, seven years after getting married in 1993. Tatiana pursued a ‘second divorce’ in the UK in 2012 however just days after Akhmedov made $1 billion from the sale of his holdings in Northgas, an energy company he had built up in Siberia following his initial 2000 divorce. The Luna was seized upon the order’s of the DIFC commercial courts in February 2018 and kept in Dubai’s Royal Dockyards for over a year while legal wranglings over its rightful ownership waged on. Lawyers acting on behalf of Akhmedov say the 2016 High Court ruling was ‘wrong and misguided’ and they are now confident no court in the world will endorse further attempts by Tatiana to seize Akhmedov’s assets.